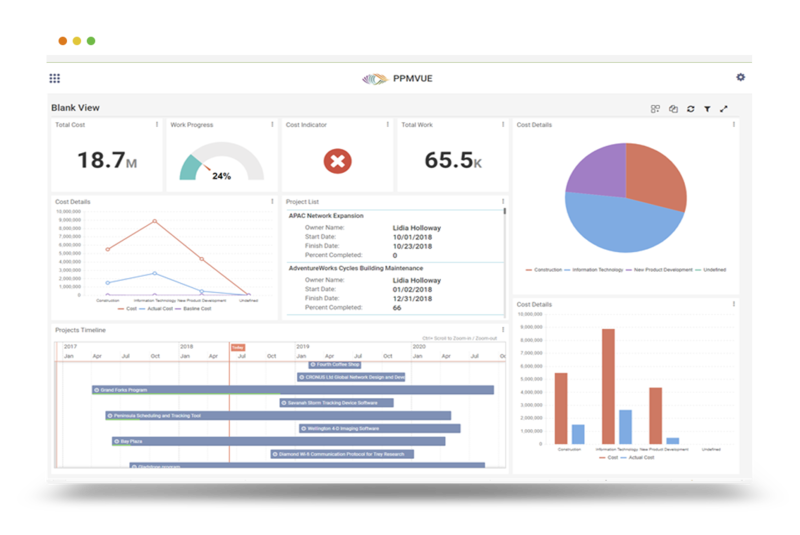 It is highly recommended that you do not delete Resource/Users when using a PPM tool such as Microsoft Project because you could potentially lose all the history related to the resource/user. For example – You create a user named John Smith who can also be assigned to projects as a resource. You have assigned John to multiple tasks on a project and he has also been submitting time against these tasks. If you delete John, you will lose all the actuals that were reported by him. Login to your PWA site with Administrative permissions. Click on Resource Center in the Quick Launch Bar. 3. Select the Resource you would like to inactivate and then click Edit. 4. 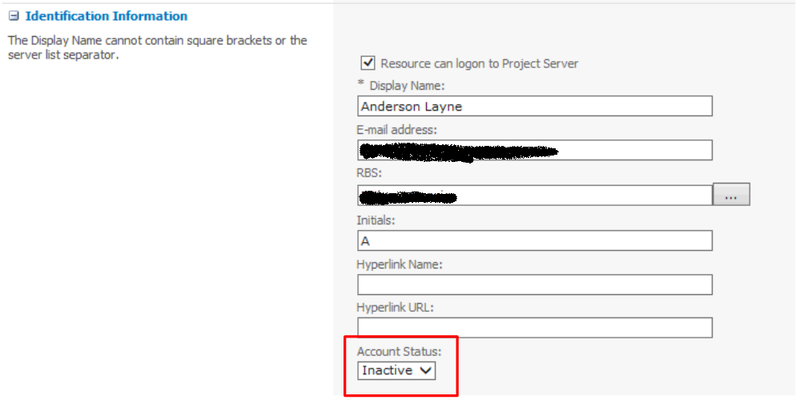 Under the Identification Information, select Inactive for the Account Status and then click Save. There can be instances where you should delete a user/resource instead of just deactivating them. For example if you accidentally add a user. The user is not a Project Owner for any projects. The user is not a timesheet manager of another resource. The user is not the default Assignment Owner for another resource. The user is not a Status Manager for any tasks. The resource/user is not checked out. Login to your PWA with Administrative permissions. Click on Server settings in the quick launch. Click on Delete Enterprise Objects under the Database Administration section. Select Resources and Users under What do you want to delete from Project Server section. Select the User/Resource you want to delete and then click Delete. Click on the Gear on the top right and then select Server settings. Click on Delete Enterprise Objects under the Queue & Database Administration section. Resources/Users are deleted through a queue, so check the queue for completed jobs to see if the resource/user was deleted. Thanks for reading! Please feel free to leave comments below or check out our other blogs on Microsoft Project, Project Server, SharePoint and Project Management Methodology. This entry was posted in Microsoft Project, Microsoft Project 2013, Microsoft Project Server, Resources, users. Bookmark the permalink.